Every month when your credit card statement arrives, it shows what your minimum payment for that month must be. The minimum payment amount varies from one credit card to another, but it generally ranges somewhere between 2% and 6% of the total amount owing. People often assume that by making a payment only in that amount, they will be keeping their account in good standing and that everything will be fine. In reality, there can be some rather detrimental effects associated with making only your minimum payments on your credit card balance. Of course, it would be great if we could pay off the total amount owing on our credit cards every month in order not to be charged interest. Unfortunately, though, that’s not always possible for many of us. People can frequently find themselves in a financial bind and be tempted to pay down the least amount possible on their credit card balance. Let’s have a look at some of the negative repercussions that can be associated with making only minimum payments on your credit cards. It’s easy to understand that by paying only 2% or 5% of your total amount owing every month, it will take a very long time to whittle that amount down to nothing. When you consider the interest charges that are added to your balance, you’ll see that the minimum payment mostly goes towards paying the interest, and that very little of it reduces the principal amount owed. For example, if you had a balance of $3000 on your credit card that carries an interest rate of 15%, and the minimum monthly payment was 2%, it would take over 16 years to pay off the total balance by only making the minimum payment each month. It would also cost you more than $3600 in interest charges during that time. One of the more important factors that affect your credit score is the amount that you owe. It’s second in importance only to your payment history in how it can affect your credit score. This isn’t to say that having debt is, in itself, damaging to your score. It’s more about the proportional amount that you owe in relation to the amount of credit available to you that can have a serious impact. By carrying a high balance on your credit card and allowing it to creep up, your debt to credit ratio gets bigger, therefore hurting your credit score every month. If you have several credit cards with little room on any of them, it’s hurting your score. If you only make minimum payments and continue to use your credit card, your balance will continue to increase, as will the minimum amount that you must pay every month. If your balance owing continues to creep up and you exceed your credit limit, you may also be charged added fees or penalties by the credit card company. It’s easy to see how people can get stuck in a pattern of debt if they rely on their credit card when their cash flow becomes an issue. They lean on their credit cards to make purchases when money is tight, increasing their monthly payment obligations and hurting their cash flow further in the process. But it isn’t just your monthly credit card payments that will increase. If your credit score has been damaged, your cost of other debt will also be higher. You’ll have to pay a higher rate on a future mortgage or a car loan, and if the damage to your score was significant enough, it could even make it difficult to secure such financing. If you want to keep a good credit score and maintain a healthy and positive cash flow, your best bet is to train yourself on how to best use your credit cards. When used correctly, they can be very useful in helping to build and improve your credit score. If you can consistently limit your credit card purchases to items that you can pay off in the next month (or maybe two), without letting the balance creep upwards, you will be doing yourself, and your credit score a huge favor. Your long-term cost of credit will be much, much lower and your credit score will improve. Of course, in addition to limiting your credit card purchases, you must also be vigilant about making the payments to cover the cost of your purchases within that time. 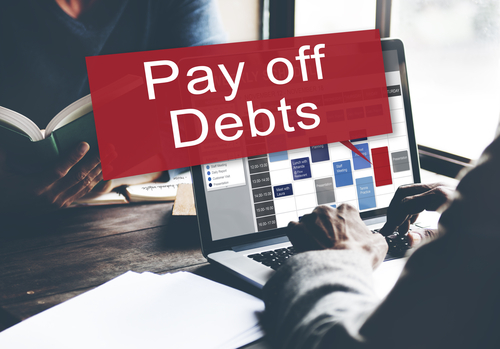 If you can stay out of the minimum payment trap, then your personal finances will be much better off so you don’t find yourself needing any type of debt relief help in the future.